With well-centred development strategy, Ha Quang Land Joint Stock Company has achieved a lot of successes, given a facelift to Nha Trang City and built up trust among customers. Top landmark projects of Ha Quang Land include Le Hong Phong I and Le Hong Phong II new urban areas which have drawn great attention of authorities, people as well as investors. Founded in 2001 with strategic shareholders being Vietnam Sturgeon Joint Stock Company and PetroVietnam Finance Corporation (PVFC), Ha Quang Land always has a strong backing as it receives from practical, effective policies to economic potential. 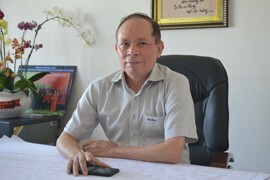 Mr Ha Quang Ha, General Director of Ha Quang Land, said, “With a real passion for business from a young age, I started to do business when I was a graduate student in the former Soviet Union and succeeded there. Then, seeing huge potential in real estate market in Vietnam, in 2000, I returned home to establish a real estate business in Ho Chi Minh City and then carry out some property projects in Nha Trang City. To date, my company has many member companies. I am planning to build up a giant business group in the coming time,” he said. The company’s management is very strong, determined, bold and daring to face challenges. With its greater focus on quality than quantity, open vision and right direction, Ha Quang Land has launched many high-quality projects. Combining local advantages with the talent and devotion of investors and architects, the company has turned Le Hong Phong I and Le Hong Phong II into modern high-class townships. A new urban area the heart of Nha Trang City is something very special and very meaningful as it ensures convenience for future residents and guarantees the value of gold land here,” Hai noted. The real estate industry is constantly changing, especially when Nha Trang is becoming a piece of sweet cake in the eyes of investors. The initial success of Le Hong Phong I Township is a good signal for Ha Quang Land to continue to make new breakthroughs. Without any hesitation, the company carried out Le Hong Phong II Township-a modern residency imbued with Nha Trang values. 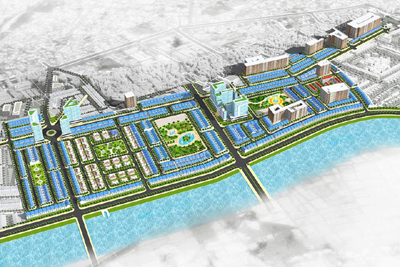 This is a prime location as it lies at the heart of Nha Trang City westward development plan. The residence has a quick and smooth access to key traffic routes such as a 60-metre wide road from Nha Trang City to Da Lat City, two 43-metre wide roads along the Quan Truong River in the west, a 22-metre wide road running in parallel with Le Hong Phong Road. By delivering a full range of economic, social and community amenities and building a modern, eco-friendly living space with unique, impressive design and environmental sustainability, this has become an economic, administrative, social, cultural and entertaining highlight. In the past few years, Nha Trang City has changed dramatically, featured by many new high-rise hotel buildings, urban areas and transport infrastructure systems. According to the Department of Construction, in the 2016-2020 term, the task of urban planning will shape Khanh Hoa into an international tourism and service centre, where Nha Trang City is the nucleus. Besides, according to the Khanh Hoa Real Estate Association, the sustainable development built from tourism potential and developed infrastructure is the driving force for Nha Trang's real estate market to further develop in 2017. These optimistic signals show that the real estate sector will be brighter as Nha Trang City in particular and Khanh Hoa province in general will have clear directions such as service and tourism development policies related to construction of urban areas. This not only invites domestic and foreign investors to the province, but also creates momentum for Ha Quang Land to jump high. He said, “Corporate reputation and customer confidence are the most important to any real estate company. Therefore, apart from focusing on investing in infrastructure development, Ha Quang Land is extremely interested in communicating and promoting its images about project quality and progress.” While Nha Trang City will continue to develop strongly towards a world-class tourist centre, Ha Quang Land must introduce unique, practical projects. Besides, Ha Quang Land hopes to receive more support from local authorities in clearing land, borrowing money from banks as well as seeing house purchase support policies for people. With its willpower and prestige, Ha Quang Land promises to make Nha Trang City nicer with more modern and civilised projects.